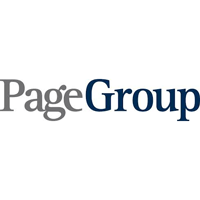 PageGroup plc (LON:PAGE), today announced forth quarter and full year 2018 trading update. “The Group delivered Q4 gross profit growth of 15.4%, against a tough comparator, where growth improved from c. 9% in the first three quarters of 2017 to c. 14% in Q4. 2018 was a record year for the Group, and Q4 was a record quarter, with all of our four regions delivering growth and 20 countries growing at over 20%. “Having added 561 fee earners in the first three quarters, additions in Q4 slowed to 58. Whilst additions in Q4 are normally lower, we are also mindful of the heightened geopolitical and macro-economic uncertainty, which has the potential to impact client and candidate confidence. PageGroup delivered fourth quarter gross profit of £211.1m, a record quarter, up 15.4% in constant currencies and 15.8% in reported rates. For the full year, foreign exchange decreased our reported gross profit by c. £10m and operating profit by c. £2m. In constant currencies, Michael Page grew 14%, with Page Personnel growing faster, up 18% in the quarter. Having added 561 fee earners in the first three quarters, additions in Q4 slowed to 58. These additions were mainly into our Large, High Potential markets, as well as those markets where we saw the greatest opportunities for growth, such as India. Our operational support headcount decreased by 4 in the quarter, and therefore our fee earner to operational support staff ratio reached a new record for the Group at 79:21. This represented 6,116 fee earners and a total headcount of 7,772. EMEA Q4 gross profit grew 13.9%, against a tough comparator of 19.3% in Q4 2017, to £104.4m. Both Michael Page and Page Personnel continued to deliver strong performances, with growth of 13% and 15%, respectively. France, representing 17% of the Group, grew 10%, despite a particularly tough comparator in Q4 2017 of 28%. This was a record quarter, despite the impact caused by the disruption from the ‘gilet jaunes’ protests. Germany, where we added over 100 fee earners during the year, grew 28%, with our Interim business growing 44%. Italy grew 23% and Spain was up 10%, slightly above its Q3 growth rate, with a marginal decline in Catalonia offset by strong growth elsewhere. Benelux grew 13%, with the Netherlands up 15%. The Middle East and Africa grew 19%, with continued strong growth in the UAE, up 46%. Fee earner headcount across the region increased by 17 in the quarter, mainly into Germany. In Asia Pacific, our second largest region, gross profit grew 22.0% to £41.2m. Greater China, one of our Large, High Potential markets grew 12%, below its Q3 growth rate of 31%, due to confidence in Mainland China being affected by trade tariff uncertainty. While Hong Kong remained strong, Mainland China experienced slowing activity in the quarter. South East Asia, another of our Large, High Potential markets grew 30%, with a strong performance from Singapore, up 37%, in line with its Q3 growth rate. Japan, where we continue to focus on both the Gaishikei and Nikkei markets, grew 28%, a third consecutive record quarter. India, where we now have over 120 fee earners, grew 79% up from 68% in Q3. Australia, following our investment in fee earners and a new office in Canberra, grew 25%, with strong growth in all offices. Overall fee earner headcount in the region grew 6 in the quarter. The UK grew 2.1%, its second consecutive quarter of marginal growth, despite continued Brexit uncertainty impacting candidate and client confidence. Page Personnel, which represents a quarter of the UK, grew 12%. Michael Page, which is focused on more senior opportunities and was impacted by the uncertainty to a greater extent, declined -1%. Fee earner headcount increased by 15 in the quarter, wholly into Page Personnel. The Americas continues to be our fastest growing region and grew 29.2% to £32.0m. North America grew 30%, with the US up 32% and Canada up 20%. In the US, growth was strong in all offices, with notable performances from Boston, Houston and Los Angeles. Latin America grew 28%, a record quarter for the region. The Brazilian market continued to perform well, growing 25%, its fifth consecutive quarter of double digit growth. Mexico, the largest country in the region, grew 30%. Elsewhere, the other four countries in the region all grew in excess of 20%, with a record performance from Colombia. We added 20 fee earners across the Americas in the quarter. Save for the effects of trading in the fourth quarter described above and the payments of the 2018 interim and special dividends totalling £53.9m on 10 October 2018, there have been no other significant changes in the financial position of the Group since the publication of the results for the quarter ended 30 September 2018. Net cash at 31 December 2018, was in the region of £96m (31 December 2017: c. £96m, Q3 2018: c. £122m). At 31 December 2018 there were 328,339,724 Ordinary shares in issue, of which 11,024,316 were held by the Employee Benefit Trust (EBT). The rights to receive dividends and to exercise voting rights have been waived by the EBT over 7,775,732 shares and consequently these shares should be excluded when calculating earnings per share. The total number of voting rights in the Company is 328,339,724. Click PAGE for the full archive.